On January 24, 1776, German author Ernst Theodor Amadeus Hoffmann was born. Hoffmann’s stories highly influenced 19th-century literature, and he is one of the major authors of the Romantic movement. Ernst Theodor Wilhelm Hoffmann was born on 24 January 1776 in Königsberg as the youngest son of the court attorney Christoph Ludwig Hoffmann and his cousin Lovisa Albertina Doerffer. When his parents separated in 1778, his brother Johann Ludwig (1768 to 1822) stayed with his father, who moved to Insterburg, and Ernst Theodor and his mother moved back to their parents’ house. Hoffmann lived in his mother’s parental home with his maternal grandmother, among others. From 1782 Hoffmann attended the castle school in Königsberg. The sixteen-year-old Hoffmann began studying law at the Albertus University in Königsberg in 1792, a family tradition. His most important teacher was the Kant student Daniel Christoph Reidenitz. In 1795 he passed his first state examination in law and became an articled clerk at the higher court in Königsberg. He also devoted himself to writing, making music and drawing. On 20 June 1798 Hoffmann passed his second state examination with the grade “excellent”. This achievement gave him access to a legal clerkship at the place of his choice. So he went to the Court of Appeal in Berlin. In August 1798 he undertook his first major holiday trip to the Giant Mountains, to Bohemia and Saxony, where he was greatly impressed by the picture gallery in Dresden. Visits to the theatre and attempts at the composition of musical plays captured Hoffmann in Berlin, so that he only passed his third state examination on 27 March 1800, again this time with the mark “excellent”. Hoffmann was the first romantic who illuminated the “night side” of human existence in all its radicalness and poetically narrated it. Hoffmann’s literary work was also influenced by the founding of the secret societies in the 18th century. Among the most famous are the resurrected Rosicrucian  and Illuminati orders , among many others. What they all had in common was that they acted in secret and that their knowledge could only be passed on within the secret society. This also provided sufficient material for literary processing. Hoffmann himself is said to have written two secret novels at the age of twenty, but since no publisher was found, they remained in the drawer and were later lost. His Serapion Brothers picked up this genre again. In many of Hoffmann’s texts, the motif of being at the mercy of a foreign force, which is mostly evil, without being able to control himself, made Hoffmann the main theme again and again. An essential model for Hoffmann were the works of the so-called gothic novel such as The Monk by Matthew Gregory Lewis. In 1800, Hoffmann went toPoznan, where began to attribute alcohol, a habit he was to maintain until the end of his life. New Year’s Eve 1800, a musical work by Hoffmann was performed for the first time in Poznan. In 1801/02 his music for Goethe’s Singspiel Scherz, Liste und Rache was performed several times. In Poznan he also met his later wife Marianne Thekla Michaelina Rorer. During carnival in 1802, during the great carnival speech of the Prussian colony, masked people suddenly appeared, distributing caricatures of high-ranking representatives of the city to the guests. The familiar faces of major generals, officers and members of the nobility were clearly identifiable and set in ridiculous poses. The fun lasted until the mocked held themselves in their hands as caricatures. The “evildoers” were never caught, but the authorities quickly agreed that there was a group of young government officials behind them, including the young Hoffmann, who had made his drawing talent available for this outrageous action. Hoffmann, who was to be promoted to government council this year, was indeed promoted, but at the same time also received the transfer to the even smaller, even more easterly town of 3000 inhabitants Płock, which was conceived as a sanction. For the first time, diary entries have been preserved from this period which reflect his boredom and dissatisfaction. The years in Płock (1802-1804) and in Warsaw, where he had himself transferred in March 1804, were marked by his attempts at composition. During the war against France, the French marched into Warsaw on 28 November 1806. The Prussian government officials were suddenly unemployed. When the French authorities offered all officials remaining in Warsaw the alternative of either taking the oath of homage on Napoleon or leaving the city within a week, Hoffmann decided to leave. Hoffmann had decided not to strive for a position, but to become an artist. 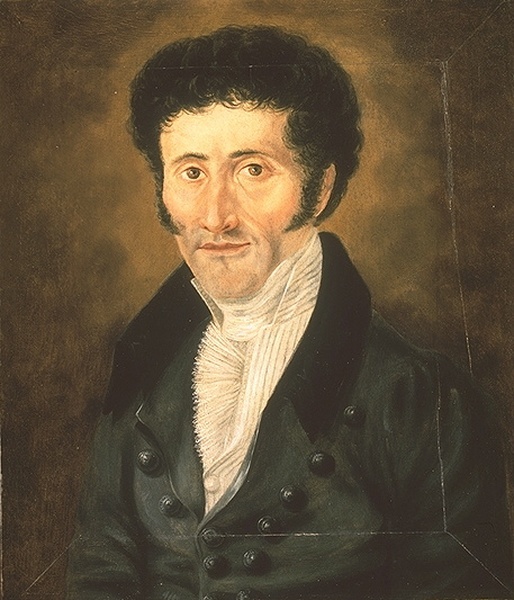 In September 1808 Hoffmann and his wife – their daughter Cäcilia had already died – moved to Bamberg, where he failed with his debut as music director in October due to inadequate performance by the orchestra and the singers in the opera he conducted. Intrigues against him caused Hoffmann to lose the job again after only two months. His theatre compositions were not lucrative enough, but Hoffmann received an offer from the publisher of the Leipziger Allgemeine musikalische Zeitung to write music reviews for the newspaper after he had been able to publish his story Ritter Gluck there in 1809. During this time he also developed the fictitious figure of the Kapellmeister Johannes Kreisler, his literary alter ego, which represented in the magazine his view of the musical works to be discussed. It later found significant musical expression in Robert Schumann‘s piano work Kreisleriana. In 1814, but after Prussia’s victory over Napoleon, Hoffmann had the opportunity to return to Prussian civil service in Berlin. However, he did not yet receive a fixed salary for his work at the Court of Appeal, but only a one-time fee. He was therefore all the more pleased that he had meanwhile acquired a reputation as a writer. The publication of the Fantasiestücke in Callot´s Manier (1814/1815), especially of the fairy tale The Golden Pot contained in this collection, was a success Hoffmann wanted to follow up with his work on the novel Die Elixiere des Teufels (The Elixirs of the Devil) and the Nachtstücke (Night Pieces), but he did not succeed. Hoffmann, however, became a sought-after author for paperback and almanac retellings, a sideline that kept him afloat financially. It made him especially proud that his opera Undine was premiered in 1816 at the Nationaltheater in Berlin. In 1816 Hoffmann was appointed to the Chamber Court Council, which was associated with a fixed salary. Hoffmann’s literary success continued over the next few years with The Serapion Brothers, The Life and Opinions of the Tomcat Murr and Little Zaches called Zinnober. In the meantime, after Napoleon’s defeat in Germany, the Metternich system of political restoration prevailed. During the period from 1819 Hoffmann was involved with legal disputes, while fighting ill health. Alcohol abuse and syphilis eventually caused weakening of his limbs during 1821, and paralysis from the beginning of 1822. His last works were dictated to his wife or to a secretary. Prince Metternich’s anti-liberal programs began to put Hoffmann in situations that tested his conscience. Thousands of people were accused of treason for having certain political opinions, and university professors were monitored during their lectures. King Frederick William III of Prussia appointed an Immediate Commission for the investigation of political dissidence; when he found its observance of the rule of law too frustrating, he established a Ministerial Commission to interfere with its processes. The latter was greatly influenced by Commissioner Kamptz. During the trial of “Turnvater” Jahn, the founder of the gymnastics association movement, Hoffmann found himself annoying Kamptz, and became a political target. When Hoffmann caricatured Kamptz in a story (Meister Floh), Kamptz began legal proceedings. These ended when Hoffmann’s illness was found to be life-threatening. The King asked for a reprimand only, but no action was ever taken. Eventually Meister Floh was published with the offending passages removed. E. T. A. Hoffmann died of syphilis in Berlin on 25 June 1822 at the age of 46. Hoffmann is one of the best-known representatives of German Romanticism, and a pioneer of the fantasy genre, with a taste for the macabre combined with realism that influenced such authors as Edgar Allan Poe (1809–1849), Nikolai Gogol(1809–1852), Charles Dickens (1812–1870), Charles Baudelaire (1821–1867), Fyodor Dostoevsky (1821–1881), Franz Kafka (1883–1924) and Alfred Hitchcock (1899–1980). Hoffmann’s story Das Fräulein von Scuderi is sometimes cited as the first detective story and a direct influence on Poe’s “The Murders in the Rue Morgue“. Hoffmann integrated a lot of contemporary things into his works, for example the fears of his contemporaries of technical innovations. They were fascinated and suspicious at the same time by the development of automatons. Consequently, the fate of some of his figures is fatally linked to this new achievement (The Sandman), whereby Hoffmann here characteristically combines technology and occultism (especially the theories of Mesmerism).